Then he said to his disciples, “The days will come when you will long to see one of the days of the Son of Man, but you will not see it. But first he must suffer greatly and be rejected by this generation.” – Luke 17:20-25. 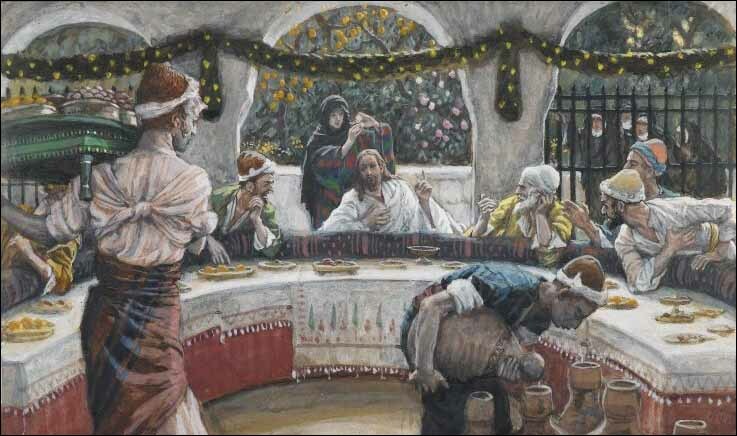 The Pharisee was amazed to see that he did not observe the prescribed washing before the meal. The Lord said to him, “Oh you Pharisees! Although you cleanse the outside of the cup and the dish, inside you are filled with plunder and evil. You fools! Did not the maker of the outside also make the inside? But as to what is within, give alms, and behold, everything will be clean for you.” -Luke 11:37-41. “As Jesus passed by, he saw a man named Matthew sitting at the customs post. 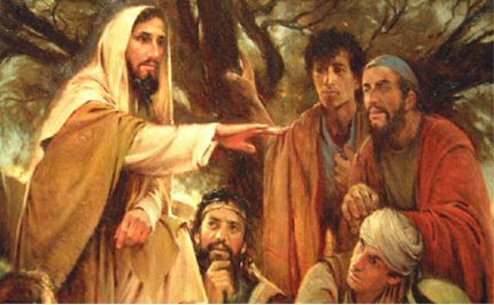 While he was at table in his house, many tax collectors and sinners came and sat with Jesus and his disciples. He heard this and said, “Those who are well do not need a physician, but the sick do. I did not come to call the righteous but sinners.” -Matthew 9:9-13. “Brothers and sisters: You are no longer strangers and sojourners, but you are fellow citizens with the holy ones and members of the household of God, built upon the foundation of the apostles and prophets, with Christ Jesus himself as the capstone. in him you also are being built together into a dwelling place of God in the Spirit.” -Ephesians 2:19-22. “Brothers and sisters: Through faith you are all children of God in Christ Jesus. And if you belong to Christ, then you are Abraham’s descendant, heirs according to the promise.” -Galatians 3:26-29.